Cupertino Corporate Immigration Lawyer Make The Smart Choice. Contact Attorney Timothy Widman Today. The Law Offices of Timothy D. Widman is devoted exclusively to the practice of immigration and nationality law. The firm focuses on business immigration, employment-based immigration, and family immigration, and helps clients all across Cupertino, San Jose, Santa Clara, Mountain View, Sunnyvale, Palo Alto, Milpitas, Fremont, and surrounding areas. Attorney Timothy Widman serves companies and employees in a wide range of business immigration matters, from filing H-1B petitions and PERM labor certifications to submitting adjustment of status applications and attending green card interviews. He has successfully represented start-up companies and Fortune 500 companies alike in securing visas and green cards for employees including H-1B specialty occupation workers, L-1A managers and executives, O-1 persons of extraordinary ability, and TN professionals. Attorney Timothy Widman works closely with HR and its employees - and the employee’s families - and is available to them during each phase of the case. This close collaboration ensures a high-quality of service, fosters effective and prompt attorney-client communication, and increases the chances of a favorable outcome. Our firm emphasizes exceptional customer service through individualized legal counsel, which ensures our attorney's total personal involvement in every case. We understand that you are looking for a lawyer you can trust. Your attorney should also be available when you need him to be and respond to your inquiries in a prompt and professional manner. As such, Attorney Widman maintains a boutique law firm. The intimate size of our San Jose Immigration and Nationality law office allows us to truly invest in the lives of our clients and resolve their legal matters in a timely and effective manner. Our attorney can take a strategic approach to your case and craft a solution that meets or exceeds your expectations. He maintains a trusted reputation throughout the legal community, and his numerous client testimonials speak volumes about his years of accomplishments. Attorney Widman can provide you with the effective advocacy, one-on-one service, and timely communication you need at this time. Attorney Timothy Widman has extensive experience and expertise in representing companies, including start-ups, and their employees, and to provide effective representation and strategic counsel to help clients achieve their immigration goals. The firm is also able to assist with National Visa Center (NVC) consular processing cases for persons applying for their immigrant visa at a U.S. Consulate or Embassy abroad. Experienced Counsel for All Your Immigration Needs. If you're ready to receive one-on-one legal counsel from a highly regarded immigration attorney who will aggressively advocate for you, then there is no better time to contact the Law Offices of Timothy D. Widman than right now. Why wait any longer to make your goals and dreams a reality? Call (408) 780-1684 to request an initial consultation. This has been a very positive experience for us. I will recommend your practice to my friends and acquaintances. You were straightforward. I very much appreciate your guidance and way of handling things. Thanks again for all your time and energy! He is very experienced in his profession and I will seek his immigration representation again. Thanks to Mr. Widman I now have the opportunity to do the things I could not have done before and I am very excited about that. I very much appreciate your guidance as does everyone in the office. 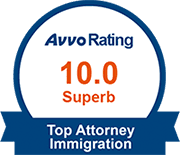 We thank our lucky stars that we had this attorney to work with and to guide us through the intimidating process of adjustment to permanent residency. He guides you through everything and makes everything straightforward [as to] what is needed and what is required. I honestly could not have done it without you. I appreciate the time you gave me.